Today, Guo Guanchang has a net worth of US $ 7.5 billion, but during his university days, he made his living selling bread door to door in the dormitory of Fudan University. Today, he is an investor and business magnate, serving as the chairman for Fosun International Ltd. Guangchang founded this company in 1992 along with two other friends, Liang Xinjun and Tan Jian. 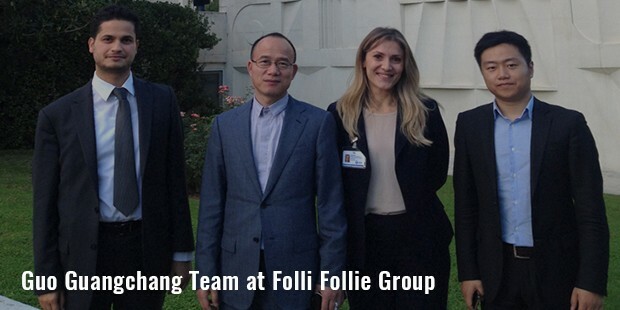 At present, Fosun International is one of the biggest privately owned conglomerates in Mainland China. 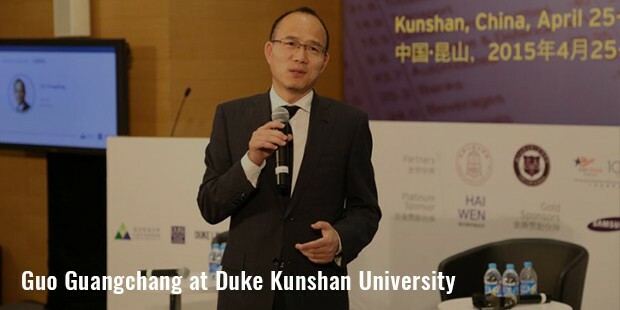 Born in Dongyang, Guo Guangchang did his graduation in philosophy, along with an MBA from the Fudan University. After completing his studies, he founded Guangxin Technology Development Company Ltd. in 1992, which was one of the first companies in mainland China that used scientific methods for market research. Later, Guo married Tan, and founded Fosun together. 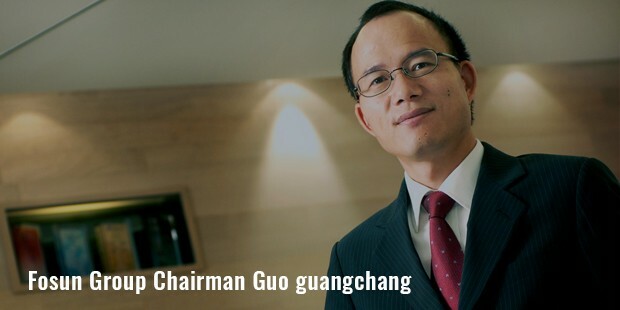 Since 1994, Guo began serving as the chairman for Fosun Group, and has created one of the biggest private enterprises in China by investing in pharmaceuticals, healthcare, insurance, steel, property, mining, services, retail, finance, asset management etc. He has also built private equity funds along with Carlyle Group & Prudential Financial Inc. He teamed up with IFC for reinsurance business, and invested in Folli Follie and Club Med to explore opportunities in China’s economy growth. Guo is the member of National Committee of 12th Chinese People’s Political Consultative Conference, a standing Committee member for All China Youth Federation, standing committee member for All China Federation of Industry & Commerce and honorary chairman for Shanghai Zhejiang Chamber of Commerce. In the Shanghai World Expo of 2010, he jointly provided funds for the Chinese Private Enterprise Pavilion, along with 15 other entrepreneurs from China. This recorded Chinese debut for non-state owned enterprises in the World Expo history. The way China’s private sector development was showcases was highly praised by global visitors. Guo Guangchang is also dedicated to tremendous work for charity. He serves as the vice chairperson for China Glory Society, Youth Business China Foundation, and China Social Entrepreneur Foundation. He donated RMB 600 million to charitable causes, helping fight poverty, improve accessibility to education, and provide relief to natural disaster areas. Fosun was founded and headquartered in Shanghai, and in 2007, it was incorporated in Hong Kong. 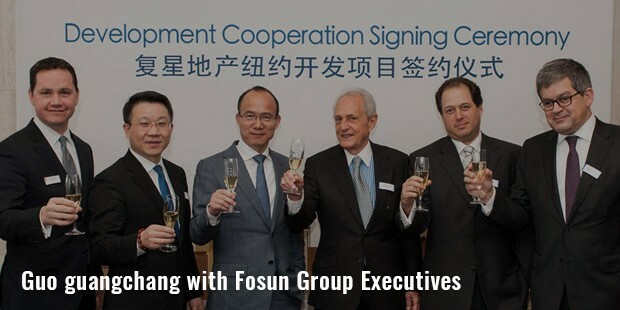 Focusing on china’s momentum of growth, Fosun has now become a premium investment group in the country. Since 2010, he has been spending billions on purchasing foreign firms, focusing on healthcare, fashion firms, banks and healthcare in Europe and the US. He already owns a range of western brands, including Folli Follie and St. John. 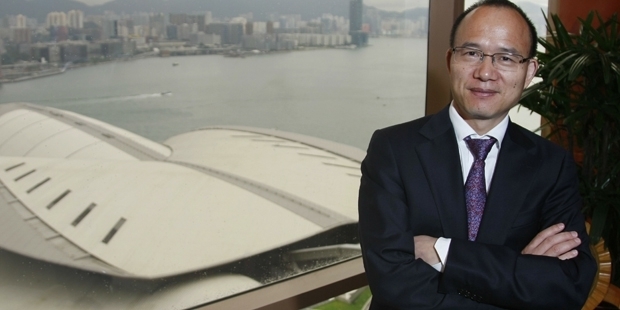 In 2014, he acquired around 20% of BHF Bank, and many more are still to come. Although he is divorced with Tan now, she still contributes in the business, and plays significant roles in the business’ success.